Toi Fujiya Hotel is a hotel by the quiet sea side at Nishi Izu. 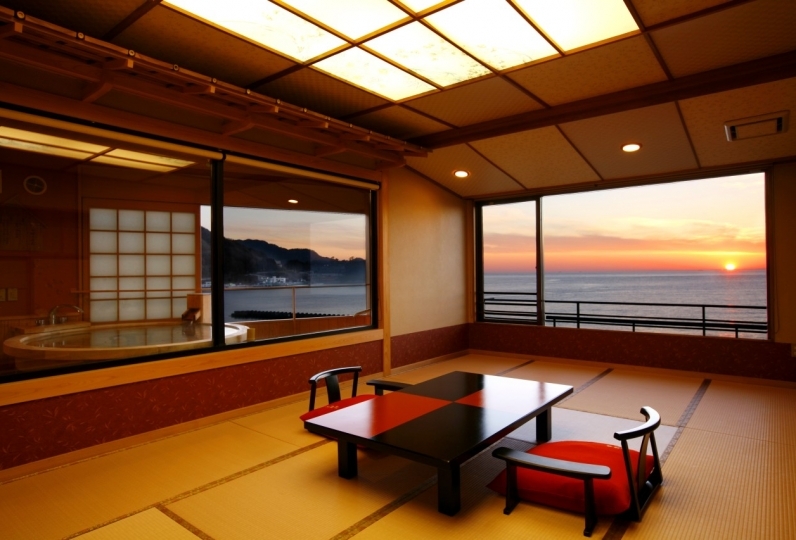 This is an old established Ryokan where you can look out at the beautiful Sunga Bay. The guestrooms with an outdoor spa that have been renovated from 2012-2016 are rated highly by our guests. Enjoy your time bathing with someone special while looking at the sunset, in these guestrooms. Seafood Full Course unique to Nishi-Izu will be served for dinner. Please enjoy the delicious food cooked by our chef in your guestroom or the restaurant with individual rooms. I was not feeling well with my children, and I arrived early and went to the hotel immediately, and I was immediately guided to my room, covered with futons, and I was able to rest in my room slowly. The public bath was not big, but it was not crowded, so I could relax slowly. The food was very luxurious and delicious. Everyone was very happy because there was a volume that I could not eat. It was good because the sea was also out for a walk nearby. 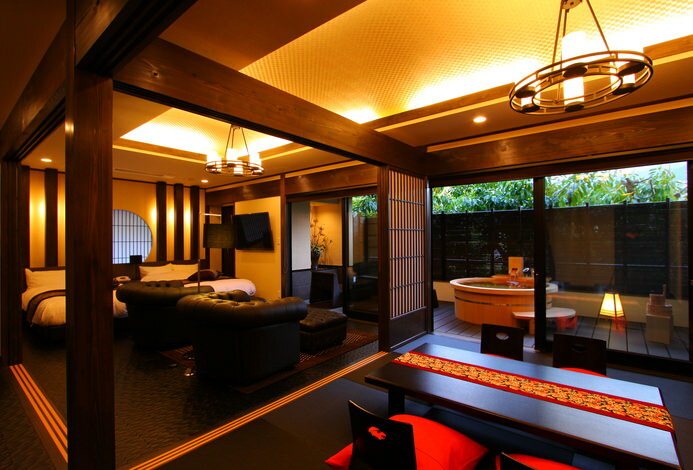 It was an impression of an old hot spring inn, but it was very clean and the comfort was very good. I was able to make good memories. Thank you very much. Mr. Nakai was surprised at foreign people, but he treated me politely. Everyone in the staff also treated me politely and spent very slowly. Thank you very much. The public bath also came in, but I had to go back to the room even though I did not take the towel from the room. I think that I prepare in a bathhouse, or specify clearly to a facility guidance, or if there is a guidance from Nakai, it is the best. There are gender segregated public bath on the top floor, the Onsen floor. You may enjoy a free bathing time looking out at the sunset at Sunga Bay through the forest and the flower clock that has been awarded Number 1 on the Guinness Awards. There is a sauna as well. The "Private Outdoor Spa" with a great view which is located on the same floor as the public bath is open by reservation basis. Please make a reservation upon your arrival. (1500 yen; Depending on your plan, your reservation may be made prior to your stay). Also, the private outdoor spas in the guestrooms that comes with outdoor spas are available during your stay at any time. Please enjoy the Onsen water as much as you like after checking in. Toi Fujiya Hotel has a total of 7 floors, from B1F to 6F. Out of these floors, there are only 3 guestroom floors. On other floors, starting off with the basement floor which has entertainment facilities like table tennis, game corner, karaoke box. On the 1st floor with the lobby and the lounge, there is a gallery, souvenir shop and a club. Also on the 2nd floor with the kitchen, there is a Restaurant with individual rooms where your freshly cooked meals will be served (You may also pick in-room service as well). Also, on the top floor, the Onsen floor, there is a public space where you can spend some time during your vacation as well. This is a Authentic Japanese Style Ryokan located by the mountain stream of Toi, with the traits of Izu and the historical culture of Onsen Ryokan. 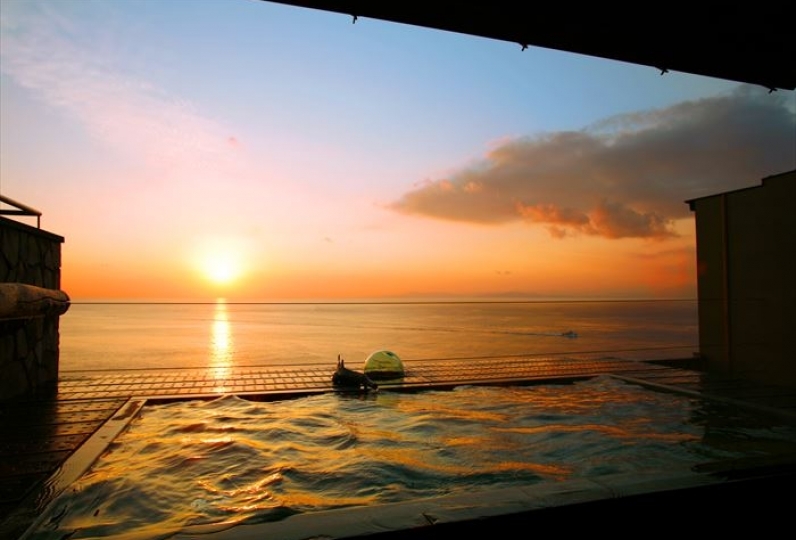 Although the Ryokan is not a Ocean Front Ryokan, it is located 2-3 minutes away from the Sunset Beach, which is known for the beautiful sunset. 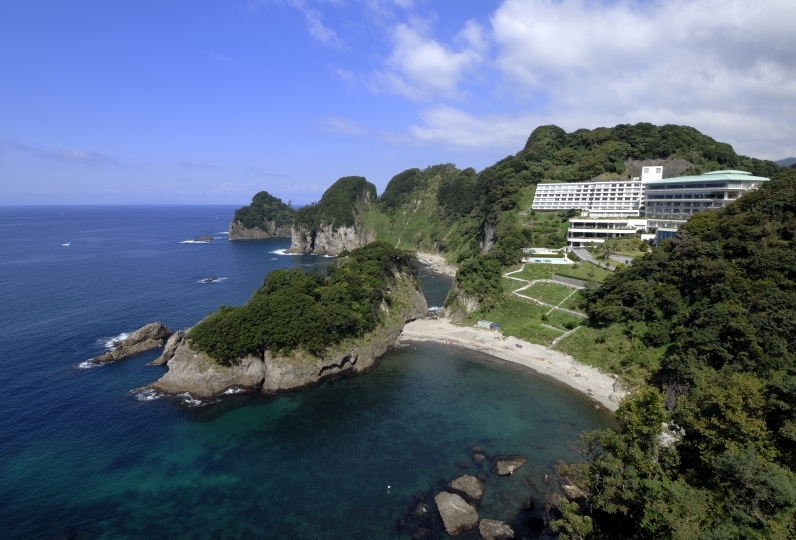 You will be able to see the sunset of Sunga Bay through the forest, the Number 1 Flower Clock and Matsubara Park from the guestrooms on the side of the ocean and the Onsen. Seafood Full Course cooked with seafood from Sunga Bay will be served for dinner. We will be serving warm and cold dishes at the best timing, being careful about the temperature they will be served at. Please pick where you will like to have your dinner served: in your room or the restaurant with individual rooms. ♦If you contact us through e-mail, it may take 2-3 days to reply. For any concerns 4 days before your stay, please call us. 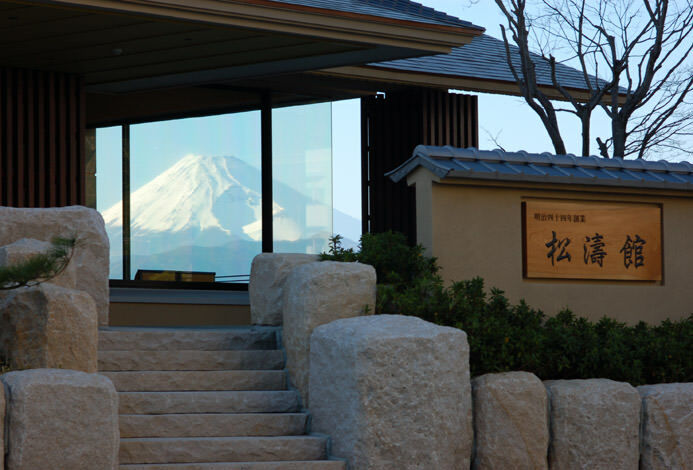 ♦As the Ryokan is located in a place full with nature, depending on the season, there may be insects or spider webs around the outdoor spa in the guestroom. Please inform our staff if you find any, and we will take care of it as soon as possible.